Today I had the absolute pleasure of spending the afternoon with a group of our team members who are considering formal school principal leadership, at some point in their future. It was extremely evident from the beginning of the afternoon that their eyes have been opened to the qualities and actions of effective leaders with whom they have come in contact with as a result of their work. Our team members have no misconceptions about what it takes to create a culture of trust, respect and accountability in a school setting. the Rita Pierson video, Every Kid Needs a Champion. When considering taking the leap into formal leadership, the question about work and home balance always garners great conversation and like most complex questions, there is not one answer which is right for everyone considering this role. of the few boards that has an expectation that our administrators will get their Masters at some point in their administrative career. Does one take a Masters to meet an organizational requirement or does one take a Masters as a natural next step on a continued educational journey? The Great Debate! about a leader’s ability to become an “Accidental Diminisher” was very enlightening. The chapter provides the reader with some descriptors of well-intentioned actions on a ‘part, which may in fact be more harmful than helpful when it comes to supporting the leadership development of others. Kudos to our system staff development team who offered this afternoon’s session, as an opportunity for us as a board to begin to have important conversations with educators who may be thinking about the role of Vice Principal. 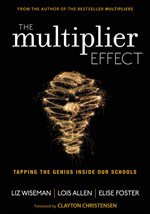 And as all effective professional learning opportunities include, not only did the intended audience of aspiring Administrators walk away with new learning, but a seasoned, mature administrator like myself, was inspired to check out a new resource and to reflect on whether or not I’m “accidentally diminishing” the leadership ability of those whom I’m supporting. When others are helping to hoist the torch, it’s amazing how much higher it can be raised and how more evenly distributed the weight becomes. 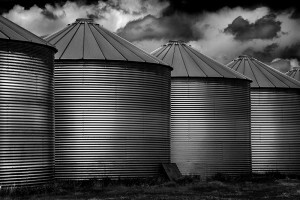 Silos is one of those words that has continued to plague us in our work at the Board Office. Three years ago, when I transitioned into this role, a colleague shared that the best thing I could do was to break down the silos. With everyone working in isolation and focusing only on their own work within their own portfolios it was easy to see how we could be accused of being disconnected and therefore not overly effective or responsive to what schools were dealing with on a daily basis. So…bit by bit, conversation by conversation, I’m pleased to share that we are chiseling away at the bricks within our silos and purposefully inserting ourselves in each other’s work and the outcomes have been extremely positive. Two recent examples that come to mind: Our work at GENTLE was an intentional partnership with our colleagues in Social Work and Special Education. The culmination of that partnership resulted in a multi-portfolio professional learning session where school teams were supported with wrap around learning from each department ~ thus replicating the type of support that schools provide for students and their families at the school level. That day, there were many hands on the torch leading the charge of how best to support our Syrian newcomer students and their families. The second example occurred this week when our Literacy team was approached by our colleagues in Research and Assessment. They initiated a conversation about rebranding an assessment tool that is integral to our work. There was such a sense of excitement in knowing that others (who are not directly connected to our portfolio) recognized the importance of our work and wanted to partner with us in a quest to make a significant improvement. Once again, knowing that others were willing to help us hoist the torch of “what’s right for kids” gave our team a renewed sense of purpose. 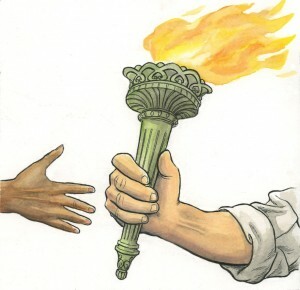 May the torch be with you…..